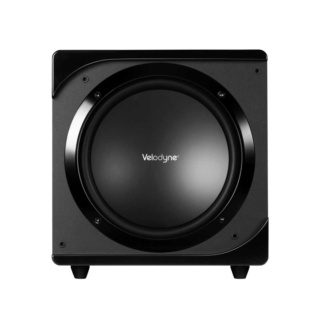 Velodynes Impact mk2 Series subwoofers feature a down-port design to maximize bass and output performance, while at the same time restricting the airflow caused by the air moving through the port, thereby maintaining musical accuracy and dynamic impulsiveness. Our Impact mk2 series outperforms other subwoofers in their class thanks to the completely new drivers with massive magnets and 2 "coil coils made of wound copper. We adjust these precisely to our MDP amplifiers and thus ensure maximum bass power and deflection. 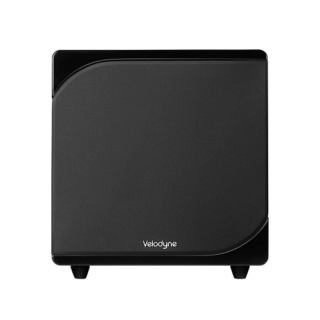 Velodynes Impact mk2 Series features a brand new and highly efficient MDP amplifier for a ground-shattering bass. Our MDP amplifiers, unlike IC amplifier designs, produce more power reserves to accurately reproduce the most critical bass information. 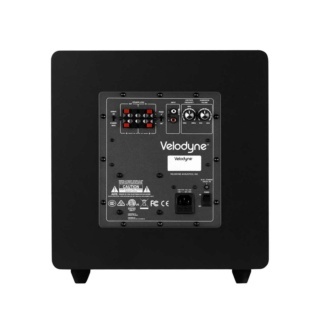 Velodyne's MDP amplifiers are also equipped with two unique protection circuits to ensure long-term reliability. The Impact mk2 series is the proof that the simultaneous existence of performance and performance does not exclude, at the same time, an elegant, modern design. The beautiful lines and curves of the Impact mk2 series blend seamlessly into the most modern interior design. Our acoustically neutral case design has a solid construction and a completely new satin matt finish. A uniquely shaped grill and high-gloss accents embody that kind of attention for details that Velodyne has already been world-renowned for over three decades as one of the exceptional brands in audio engineering.